The aromas have developed themselves and recompose to give an exquisite and inimitable taste. The refinement and the elegance of this work of art pay homage to the cognac. Different participants: designer, glass cutter, cabinet maker, goldsmith, cellar master have crystallized their know how for a passion to give birth to a timeless and unique work of art. Through this creation, Robert and Richard PRULHO, creators for the most prestigious distilleries in the world compose for the connoisseurs this unique shade. 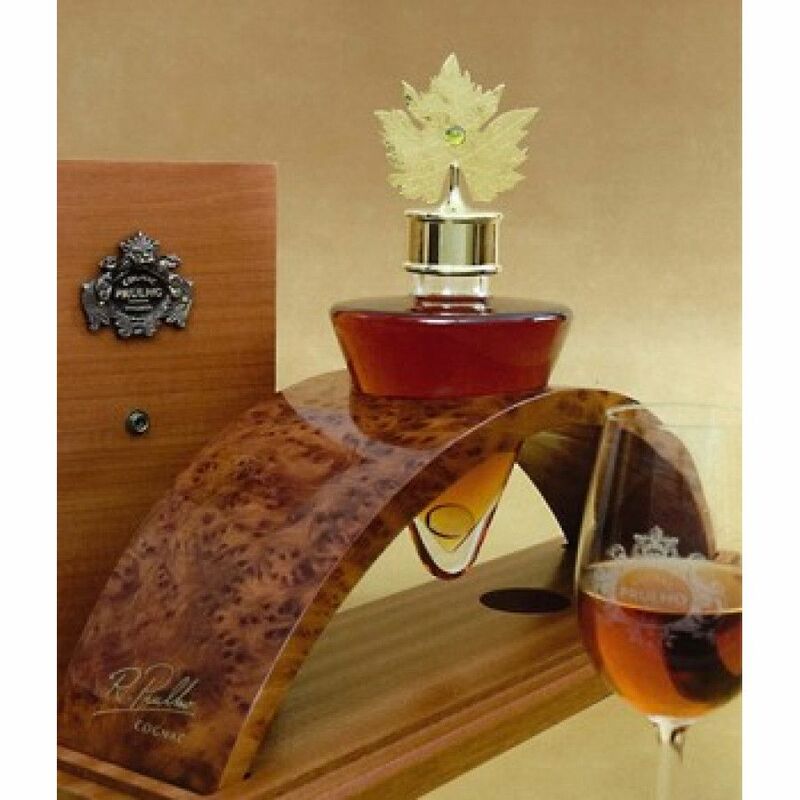 To magnify this mature cognac, this work of art expresses beauty, scarcity and prestige. The work of art, in its entirety refers to the nit and essential advance from the harvest, to the distillation towards the aging. Its cork, surmounted by a vine leaf, keeps an olivine in its heart, a symbol of the grape. The crystals decanter, imprison reflective lights and amber. It contains a glass pearl, an image of the drop of cognac, which will finally unite as the Angels share. The case of this jewel in Vavona burr is extracted from the root of a prestigious North California tree. The shape is reminiscent of the barrels oak wood where the cognac has aged for decades. The aromas have developed themselves and recompose to give an exquisite and inimitable taste. The refinement and the elegance of this work of art pay homage to the cognac. Different participants: designer, glass cutter, cabinet maker, goldsmith, cellar master have crystallized their know how for a passion to give birth to a timeless and unique work of art. Through this creation, Robert and Richard PRULHO, creators for the most prestigious distilleries in the world compose for the connoisseurs this unique shade.